The owner of this car worked down the street from us in Anaheim Hills over at VMR wheels. 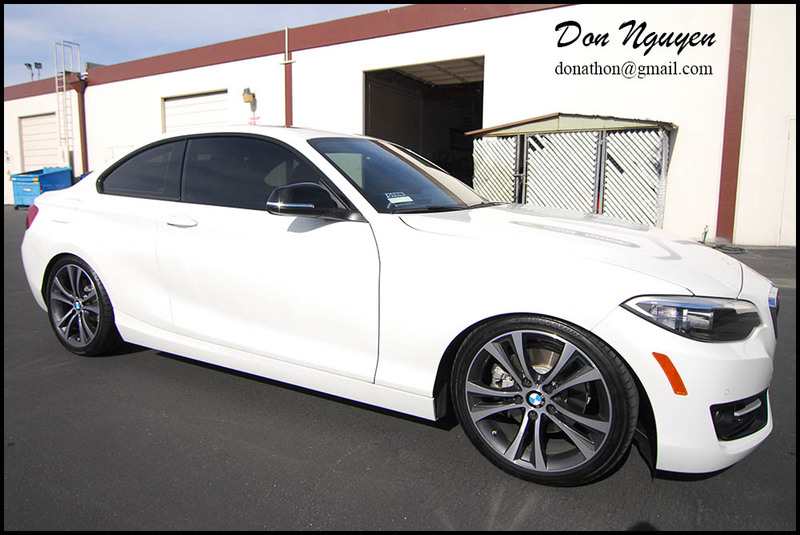 He brought his car by to have me black out the chrome/brushed aluminum window trim on his Alpine White F22 235i 2 door coupe. We went with gloss black on his window trim to give it the factory OEM look. Before blacking out the chrome window trim, it stood out quite a bit. 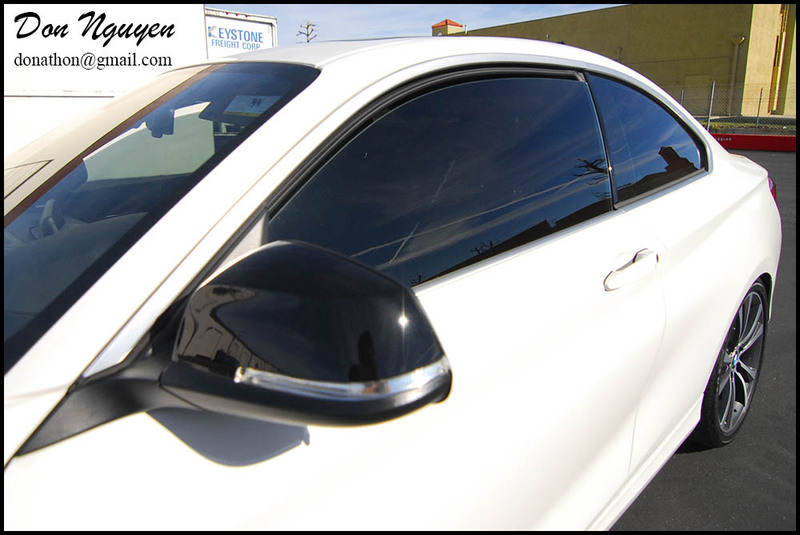 After applying a gloss black vinyl film over it, it toned it down, complimenting his tinted windows fairly well.